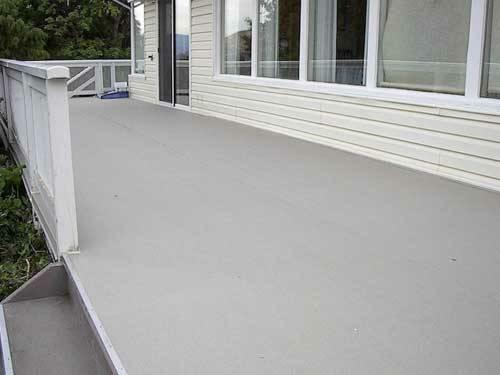 Durable, maintenance-free and cost-effective. Vinyl decking's nonporous, weather-resistant surface cleans easily and resists stains and never needs sealing or painting. Vinyl decks also stays cool even during the hottest summer days. 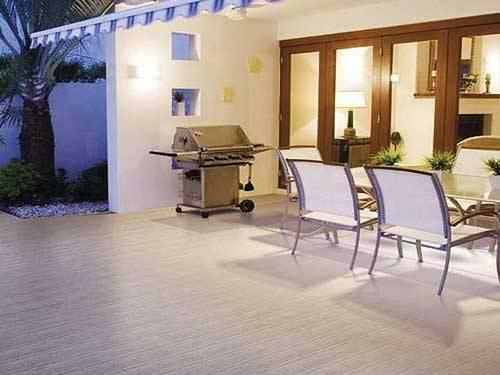 Our recommended vinyl decking material is made from polyvinyl chloride (PVC), a very common and highly versatile synthetic material. 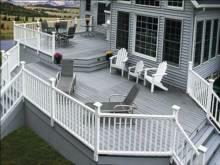 PVC appears in thousands of different products. 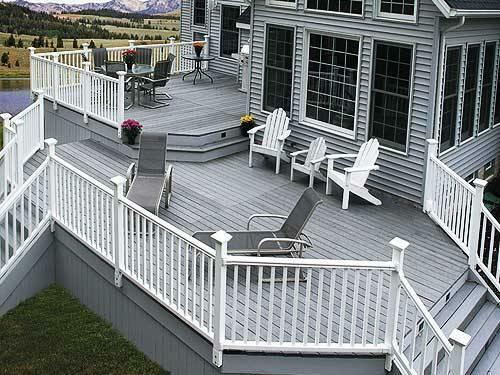 Vinyl decking PVC is both fire and water resistant (thats one of the reasons its used to make raincoats and shower curtains), and very easy to work with. Over 14 billion pounds of PVC are currently produced per year in North America. Approximately 75% of all PVC manufactured is used in construction materials. Obviously, there are a lot of PVC products out there, and theyre not all created equal. 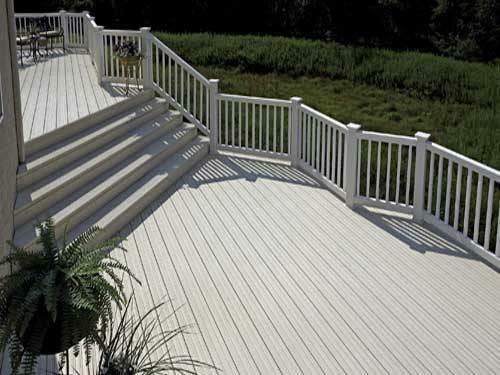 Key to the appearance and longevity of vinyl decking are certain additives help protect vinyl decking from the harmful effects of sunlight, ensuring the color stays bright and fresh, protecting against impact and weather. 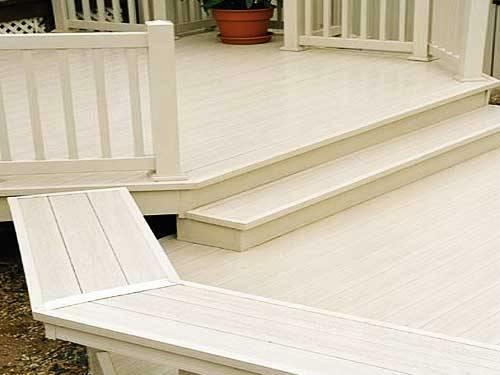 We offer only the very best, proven color additive blends to ensure your white, tan or gray vinyl decking stays the same color it was when you bought it. 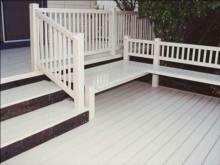 Our vinyl decking products are also extruded from the very best virgin vinyl compounds available. Other vinyl decking manufacturers too often use a quality surface coating over a base of inferior, recycled vinyl scrap. As a result, the base may not be as resistant to UV and environmental conditions, and the entire structure can weaken over time. Because our vinyl decking is 100% extruded from virgin vinyl, you can rest assured itll be worry-free. Were are sensitive to our products being as environmentally friendly as possible.